Everyone born in August is lucky enough to get 2 choices of birthstone! 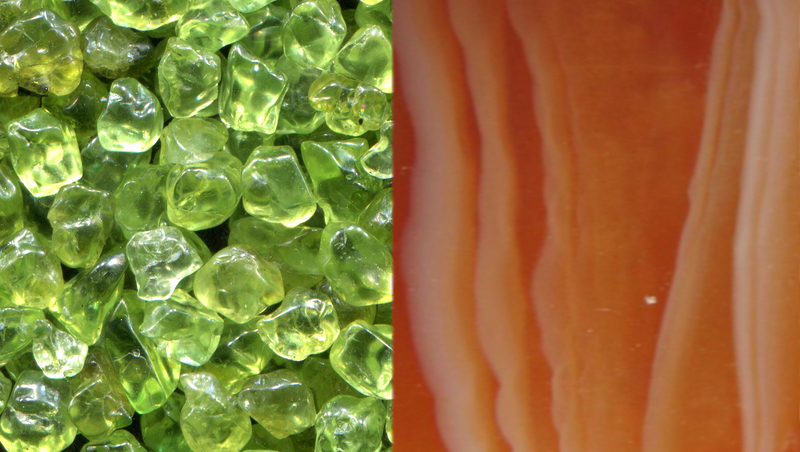 The 2 stones that represent this month are Peridot and Sardonyx. Keep reading to find out some fun facts about both these gems! Peridots are formed in volcanoes, so are therefore believed to be a gift from Mother Nature. They are also considered a symbol of the annual renewal of the planet. But Peridots have also been found in some meteorites. It is one of the oldest known gemstones and has been regarded as a symbol of the sun since ancient times. Peridots can be found in many colours ranging from yellowish-green to brown. But lime green and olive green are the most desired hues of the gemstone. Some of the finest Peridot stones are called "evening emeralds". This is because they appear to look the dark green of an emerald under artificial light. It's thought that Cleopatra wore Emeralds, but it now seems that they were in fact Peridots. Legends say that Peridot has the strong magical power of preventing nightmares. It’s said it protects the wearer from the “evil eye”. Also, it supposedly frees the mind of envious thoughts. This birthstone has a unique composition of layers of "sard" and "onyx". These are both varieties of the mineral Chalcedony. Sardonyx stones usually contain white and brownish-red bands. But they can be found in other colours, such as, yellow, purple, gray, black, pink and green. It is a relatively common, attractive and inexpensive gemstone. Only the wealthier classes could afford most rare gemstones. But Sardonyx could be attained by less wealthy people. It was also widely available in ancient time, which is what made it so popular. Sardonyx was engraved with heroes, such as Hercules and Mars, by the Romans. The Roman soldiers would then wear these as talismans. They believed the stone would make the wearer as brave and courageous as the figures etched on it. Sardonyx still remains a symbol of strength, happiness and courage. Which is your favourite of the 2 birthstones of August?